A furious rally down the stretch couldn’t close the gap for Concordia’s women’s basketball team in a 61-57 loss to the McGill Martlets in the Stingers’ home opener Friday night. The outcome looked like it would be considerably more one-sided at the start of the fourth quarter, as forward Anneth Him-Lazarenko’s layup put the visitors up by 13. 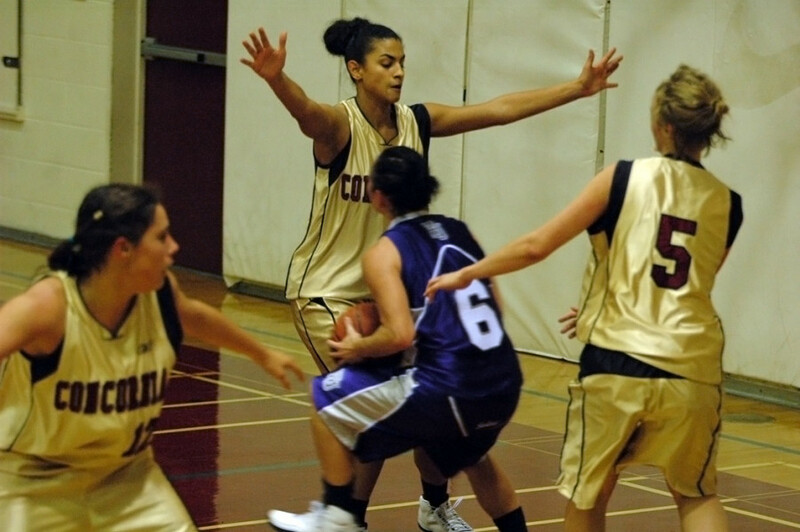 The Stingers had trouble handling Lazarenko on the block all night, as she finished with 27 points and 11 rebounds. Despite the deep hole, ConU refused to give in. Led by five quick points from forward Andreanne Gregoire-Boudreau, the Stingers quickly closed the gap to 59-55 with a chance to get within two as senior leader Kendra Carrie stepped to the foul line. Unfortunately, Carrie missed both free throws, and the Stingers would never get closer in the last few minutes. Carrie finished with 10 points, five rebounds and four assists. Free throws were a problem all night for the Stingers, as they finished only five of 15 from the line as a team. The loss was a tough learning experience early in the season for the Stingers, but they are still confident that the resilience they showed down the stretch will pay dividends later in the season. Consistency will be the key word in the upcoming weeks for the women’s hoops squad. With a tough schedule ahead, they will need to show the intensity that appeared at the end of their matchup with McGill to remain in the playoff conversation. The Stingers rebounded with a 76-69 win at Bishop’s, and will have a chance to build on that victory when they host the struggling Laval Rouge et Or this Saturday at 8:00 p.m.